The Martin Yale 620RC 18 Manual Cutter saves time and money. One of the eye catching features of the 620RC Ream Cutter is its battery operated cutting line that makes sure proper smooth and straight line cutting of the material. Themost important thing that 620RC has is a precise manual back gauge which is solid and square making it quite easy to get precise cuts every time you use it. Theproduct offers usage in large run applications and general heavy use. Theproduct being nicely designed adds to their physical outlook and the 620RC 18 Manual Ream Cutter comes with an elegant steel table with adjustable levelling feet. Thelegs adjust up to 1-1/2 inches to facilitate levelling. To ensure safety of the blade, the Martin Yale 620RC Manual Ream Cutter comes with a clear cover that prevents the blade from lowering when it is in the open position. It comes with a quick lever paper clamp that is handy for the user. Martin Yale 620RC is capable of cutting Cardstock, Construction paper and normal paper sheets.620RC Manual ream cutter can be summed up with following highlighting features:. 620RC Ream Cutter by Martin Yale is a smart paper cutter best suitable for quick printers, copy shops and offices. 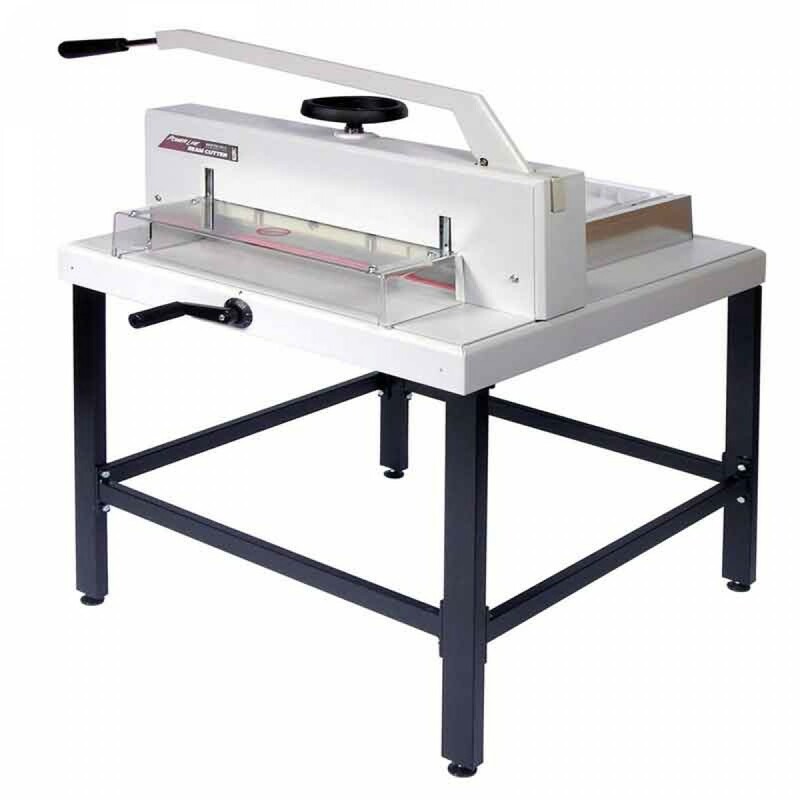 Martin Yale 620RC is a Manual Cutter and can cut sheets of 18 inches length or width. The 620RC has the capability to stack 3.14” of thickness that approximately makes 800 sheets weighing 20lbs. Cuts a full 18” length or depth. Battery operated cutting line to ensure proper cutting. 18.7” of cutting length behind blade. Dimensions 20" X 30" X 16"